Saltwater fishing is as good as fishing gets! But we need the best saltwater spinning reel​ to be able to stand up to the salt and fish of the ocean. For those of us who love fishing on the sea, we know that most of what we’ll be catchingis rather large. For those of us who also enjoy our spinning reels, this can pose a bit of a difficulty if the right factors aren’t taken into consideration. *Keep reading for full reviews​ or just jump to them! Just like fishing environments,reel preference is also a subjective matter that differs depending on an individual’s needs and skills. In the U.S., many of us are familiarized either with spinning or baitcasting reels. The main difference between these two reel types is the methods in which they are cast and reeled back in. A spinning reel will have a spool called a bail sitting at a 90-degree angle parallel to the rod. The line wraps around the spool and is controlled with mechanisms on top of the bail that allow the user to close the line. Additionally, the drag is located on top of the bail. Many of us first learned to fish using a convention baitcaster rod. The spool is encased where the handle protrudes from it. Usually, there is a button underneath or beside the spool casing. This button controls how much line is fed through the rod into the water. The latter of these two reel styles is a little bit more self-explanatory and usually, makes for a more accurate cast. However, the rod and reel are typically heavier and are more susceptible to tangling or other malfunctions. While this is based on personal experience with baitcasters, other differences make this style preferable to some. Still, I prefer to use a spinning reel myself. For those who decide to pursue saltwater fish using a spinning reel, it is crucial that certain factors are taken into consideration when purchasing one. You need to make sure that your reel can house a strong line. This will make it easier to bring in larger fish. If you’re hoping to catch a marlin or Mahi-mahi, you might want to take the potential size of these fish into account. Remember, fish that are caught in saltwater are almost always larger in size. To be able to withstand fish weighing twenty pounds or more, it is imperative that both the rod and reel can withstand it. In essence, the best saltwater spinning reels are lighter in weight. As such, they are typically mounted on reels that are also in a lower weight class. While this may make it easier fora angler to maneuver and transport their equipment, saltwater fishing calls for durable equipment. That doesn’t mean that a light fishing pole will necessarily break, it just means that it is important to research the weight, power, and speed of the reel. Gear ratio and the material from which the reel is made are also good to look into. Buying a reel that requires minimal maintenance and is not prone to wear-and-tear will save you some money while reducing hassles. When looking at the specifications of a potentialreel, you may notice a number called a gear ratio listed on the side of the box. This will determine how quickly you can cast and reel in your line. Gear ratios are important to consider, especially in a particular fishing environment. On waters that can potentially be more aggressive and are filled with fish of the same, a proper gear ratio may be the defining element of just how well your reel performs in a saltwater environment. A reel with a gear ratio of 5:1 means that the spool winds or unwinds five times per every single turn of the handle. This is a standard gear ratio for many spinning reels. Naturally, higher numbers mean the line will retract and reel in quickly. This can be crucial when you get a large bite. 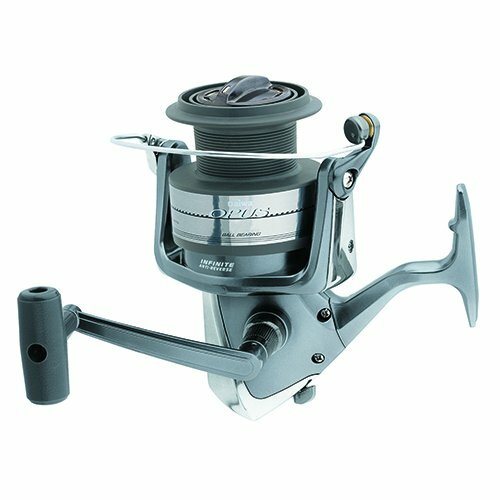 Spinning reels commonly have lower gear ratios. The best saltwater spinning reels make up for their low gear ratios with enough ball bearings. While a gear ratio determines the speed of your cast and line retrieval, how smoothly this can be done will also determine your success on the waters. These bearings add tension to the line on the bail. In turn, this decreases the likelihood of the line coming in or going out inconsistently or getting snagged. What Specs Should I Look For? 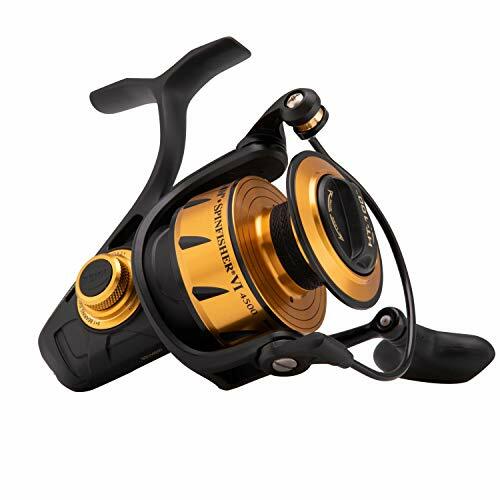 As a standard, the number of ball bearings (if any) in the reel, as well as the gear ratio, are listed on many spinning reels. Any reel with four or more ball bearings has proven to work just for me at sea. However, it is also important to consider the weight and power of your reel as well as your rod. This is determined by the length and weight of the whole fishing pole. The materials that the line and bail are made from are also important to consider. If a reel is made with aluminum other durable metals, there is a good chance that the reel was made to withstand it. Consider whether the materials of your reel are durable enough and make it easy to perform maintenance on. A reel that rusts quickly will be much harder to take apart and maintain. Line capacity and drag are also important to look for when purchasing a reel. If a reel has a higher line capacity, then you will be able to cast much further. This increases your range of where you can successfully catch fish as well as how deep you can cast your lure. The best saltwater spinning reels will have a line capacity that is proportionate to the overall weight of the reel. If your line capacity is 12/120, this means you can hold up to 12 pounds and 120 yards of line. What’s the Difference Between Saltwater and Freshwater Fishing? There are plenty of environmental difference to consider when considering the type of equipment you should be using. Saltwater fishing typically takes place on rivers or lakes. It’s more common to catch lighter fish like trout or bass in these types of environments. If you are looking to catch something substantially larger, your best bend is to acquire the resources for a saltwater fishing experience. Personally, I believe that this style of fishing is the most adventurous and entertaining if you aren’t necessarily looking for a laid-back river fishing trip. While the environments and types of fish that can be caught will differ significantly between saltwater and freshwater bodies of water, these two methods are a matter of personal preference. Saltwater fishing has many benefits over freshwater fishing, but it also consumes more time and money. After all, this tends to be the case with the greater things in life. That isn’t to say that fishing on a river or lake isn’t rewarding; saltwater and freshwater fishing both have their benefits and differences aside from the types of aquatic game and bodies of water. For some, the experience of seawater fishing may prove to be too risky. This can especially be true for a novice seawater fisher. Experience can only be acquired through practice. 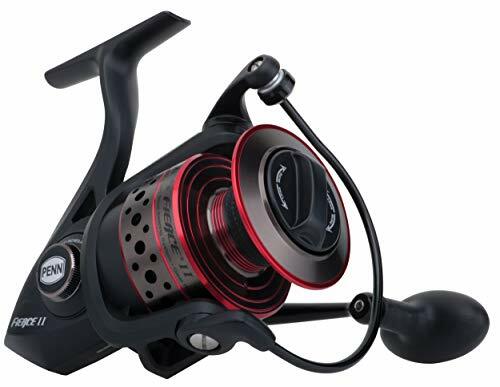 If you are playing with the idea of going on a saltwater fishing expedition for the first time, you will need to consider which type of reel (or reels) to bring on your trip. For many of us, it is second nature to fish using a spinning reel. While this type of rod is lighter and easier to control, there are certain factors to consider before settling on a rod. Penn reels tend to go for a higher price due to their durability and design. The Spinfisher V is made with an aluminum line and a reel system suited specifically for this reel. The HT-1000 Drag system and anti-reverse features are engineered into the reel, making it easier for the user to control. These added features prevent the user from making mistakes which may cause complications for their line. For a novice, this may be the ideal reel to buy if you are worried about the durability of your product. This reel will also prevent common mistakes while having the potential to reel in huge saltwater fish. This reel works perfectly for saltwater fishing but is not built specifically for it. This can be used in many types of bodies of water. The handle has adjustability features that make the Sougayilang Freshwater and Saltwater reel a versatile choice for fishers. This line is intended to make the experience smoother for the user. In addition to the incredibly high number of bearings, this reel is also built lightly despite the aluminum line. This adds more durability to the reel if the line is cleaned and rinsed properly between uses. A lightweight design made from durable materials ensures ease of use and overall product quality. A durable reel will provide years of fishing with minimal needs to repair or replace components. The Daiwa Opus is an optimal choice for anglers who may be a little more experienced. While the product is marketed specifically for saltwater use, it can withstand a respectable amount of weight insaltwater and an even greater weight in freshwater. The line capacity holds up to 360 yards of line, and a supports a significant amount of drag, increasing the possibilities for catches in either environment. 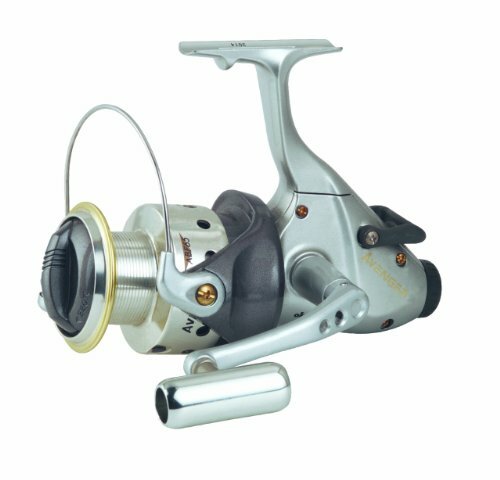 This reel is also on the lower end of the price scale. Don’t mistake this for a low-qualityreel, though; it is best left in the hands of an experienced angler. Another spinning reel from Penn, the Fierce II is quite a bit cheaper than the Spinfisher V and is just as durable. The metal housing of the line and inclusion of an immediate ant-reverse bearing make this reel quite a bit safer in the hands of a novice. The five ball bearings combined with the all-metal casing ensure that line retraction and gear alignment remain precise and smooth. The Okuma Avenger is made from durable materials that are meant to be resistant to rust and corrosion. Depending on where you buy this reel, a 1-year warranty is also included. This should not even be a measure to take since the reel is so efficiently designed, though. The six bearings, multi-disk drag system, and the built-in baitfeeding system make this reel robust and easy to use. The bail is used minimally thanks to the baitfeeding system, making less work for the user. A smooth experience is pretty much guaranteed with each use. 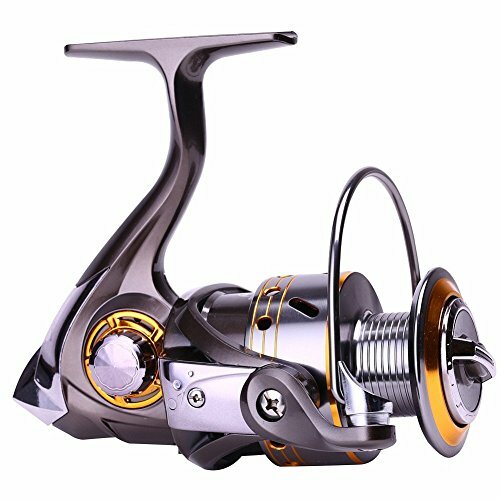 The best saltwater fishing reel is a must if you want to enjoy your deep sea fishing trip or even some good pier fishing. Saltwater reels need to be able to stand up to the rigors of the sea, and you can't go wrong with any of the reels we listed here. What's your favorite saltwater spinning reel? We'd love to hear about it in the comments below! The Best Fishing Sunglasses: Protect Your Eyes While Catching More Fish!